All of us tend to separate ourselves from resistance. Often resistance is not easy to accept into our life and instead of going into it, we fight it every step of the way. Many times resistance shows up through our emotions or through chronic physical pain in our body. The more we can open up and listen to it, the more we can learn from it. 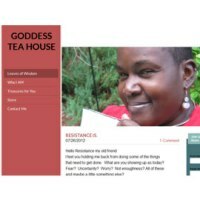 I love how this blogger writes to resistance that it has done its job, now it is time to do mine. Great post to read and written in a very good way. I finally took my own advice and just took some time off to relax. It was so much fun getting away from the computer, writing, and all the stresses in life. Sure, I love writing and doing the things I do, but with other worries that sneak upon me, it is just fun to let loose, kick the heels up, and relax a little. We took a short trip to Savannah, Georgia. After coming through there on the way home from another vacation a year ago, we wanted to go back and spend more time in the city. It is such a beautiful city with trees that line the streets as if the streets were carved into the trees. The landscape varies greatly and the history of the city was evident at every turn. Spending time down on the river front, I saw all kinds of people that were just enjoying a nice fall day in the sun, to those performing their given skill and talent for others to observe. The many shops showcased various artwork from local artists that came in all sizes, shapes and flavors. It was mix of the old historic area in with the new and all of if felt so peaceful. These days I see so many people lying as if it were a normal and acceptable practice. In fact, throughout our society and the world, lying seems to have replaced honesty. Truth has become truthiness. Each day, whether it is in political ads, advertisements, or everyday communication, lying has become the source of our communication. Yes, I know there are some honest people left in this world, but the dominating force of what we see in a day, falls short of what we used to know as truth. At one time I worked for a boss by the name of Ron. Ron was overall an upstanding person, but he had this flaw that really bugged me. You see, if he was trying to get someone to do something, he would say whatever he needed to in order to make that happen. His justification was that if someone believes what he is saying, than its the truth. Unfortunately, that is skewing life so badly that reality is nothing but a blurred image. Of course in the end, he manufactured a "lie" against me that got me dismissed. I always thought it was ironic how he had no desire for the truth, but he used the truth against me as a sword. Growing up, my older brother knew nothing about telling the truth. I remember my Dad shoving a bar of soap in his mouth every time he was caught lying and even though the punishment was horrible, he still continued to lie. The lies would often be about things that really didn't matter and I would sit there dumbfounded as to why he was lying. On the other hand, I could not lie because anyone could read my face and see it as plain as day. Thinking back to six weeks ago, much has changed. I remember at the beginning of August feeling like life had screwed me over so badly that I didn't care if I continued another day. I felt tired, worn out, and left to rot by the wayside. I felt all alone and isolated from everything and everyone in the world. My body ached and my heart was beyond sad and full of despair. It seemed like there was absolutely nothing to live for at that moment. Fortunately I made the decision to go ask for help from a healer in South Florida by the name of Kathi Angeli. She has helped me in the past and I knew that if anyone could help me cross over the hell that I was facing, it was her. Taking a leap of faith and going to see her for a healing session, not knowing how I would pay for the trip, I was pleasantly surprised by unexpected income that showed up directly after the session. As I look at my current moment, I see just how far I traveled. It is like my life is as different as night and day. I fully and completely realize that I am not the same person I was six weeks ago. My outlook has changed. I am much more in touch with the felt sense of my body and connected together with my mind as one entity. I feel more at peace and full of joy and gratitude. Instead of feeling isolated, I have had wonderful opportunities to meet some new people. One painful moment of my childhood was a confrontation I had with my father in an episode that has played a major role in my life from that point forward. If you look in the picture to the right, you will see the wooden hay bunk for my sheep that became the source of contention between my father and myself. 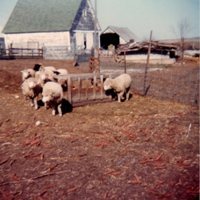 I was only about 16 or 17 years old at the time and my sheep were my life. I was fast becoming an experienced learner in how to raise sheep. As the days went, I had nowhere to feed hay to my sheep except on the ground. Throughout the winter months, you would feed bales of hay to them since there was no grass to eat. Often you would throw out extra ears of corn that we picked up from the fields to help give them protein and calories. 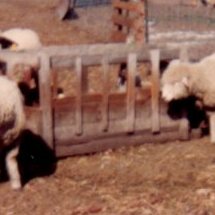 They were often pregnant and so to help their lamb mature inside the womb and to help them weather the harsh Iowa winters, this feed was vital for them to survive and produce viable lambs. Putting hay on the ground was one way to feed them, but that often meant they were eating whatever was on the ground. In a sheep lot, there are things that just aren't healthy for them to eat and sometimes they can pick up parasites from the practice. Plus, if the hay was on the ground, a lot of good food would be wasted from being trampled by the sheep, which means it gets more expensive to feed the sheep. Here are selected blog posts beginning the week of September 9, 2012. I have tried to summarize them briefly and give the actual link to them. To visit the website, just go to DailyAngelMeditation.com . Due to scheduling conflicts, there was no entry for this day. If you knew of a spectacular mountain that was very, very tall, yet climbable. And if it was well established that from its peak, you could literally see all the love that bathes the world, dance with the angels, and party with the gods. Would you curse or celebrate each step you took as you ascended it? Wow, when I read this daily email from "The Universe", it hit the right spot within me. It says so much in a few little words.  You can also get the daily email by checking this website out - "Notes From The Universe". I was watching the documentary once again about the horse whisperer. The title of this film is "Buck" and is about the life of Buck Brannaman as he teaches horse clinics and people about the greater truths in life. I've hardly ever ridden a horse, but I can tell just how much Buck understands the finer parts of life. Growing up most of my life I have been around animals from dogs, cats to chickens, sheep, and pigs. My college undergraduate degree is in Animal Science and at one time I wanted to be a veterinarian. Due to grades not being quite high enough in my undergraduate and financial limitations, I did not pursue this area. However, I spent considerable time working on and managing big farms. To this day I still love the animals, although I don't live in a situation where I can be close to them. There is nothing more rewarding and joyful than to have hundreds of animals that can't wait to come up and greet you. There has never been an animal that I was afraid of or could not be around. Somehow I always found a way to make friends with them and do things that most people could not do. I came across this on a google search and boy it is delicious. Of course, I modified it a little bit because the original recipe had nutmeg in it and we did not care for that on the first attempt. I also added pecan pieces to it and I make sure I put in at least the amount of bananas that the recipe calls for or just a little more. In the original recipe, it stated a 50 to 55 minute baking time at 350 degrees. Unfortunately, I found that I had to bake it for almost 60 minutes. Of course that could be my oven. So please experiment with what works best in your kitchen. This is a very healthy recipe made without any oil or all the other bad stuff that people tend use in baking. We used Mott's Apple Sauce (NO sugar added) and it did not have high fructose corn syrup. We try to avoid high fructose corn syrup as much as we can. So here is the easy recipe. Some time ago I was introduced to something I desired, but was so afraid of and struggled with like there was no tomorrow. 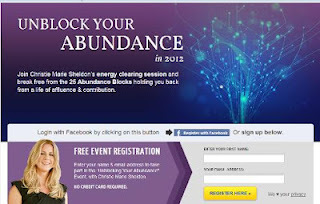 I became aware of Christie Marie Sheldon and her Unlimited Abundance program, but I was so resistant to it in the beginning that I wrote a scathing blog post in that regards. While I sometimes feel embarrassed for what I wrote, anyone reading this can see my own process of discovery and self exploration. For that reason, I have left it posted to my blog because I feel like others out there are struggling with the same resistance. The thing is, I did not become a millionaire listening to Christie Marie Sheldon's program. No one knocked on my door and handed me a check for a large amount of money. I didn't move into a brand new home, or buy a brand new car. My life didn't magically change all at once. In many ways, I wasn't looking for instant riches for my life, just a way to connect with the possibilities of my life. After listening to the program, my life started to change. However, the way in which it changed was so slow and so little at each point, I really could not see it. In fact, I went through some more intense and difficult moments after listening to her program. There were some highlights and good moments, but all in all, I faced many challenges which I tried to hide from the world. It was part of my process and part of my growth. Recently I received a question from a reader of my blog. That question was essentially, "How Do I Consciously Connect With My Body". Although I would never share what I receive in email, I felt that the response I wrote to the person was ideal for this blog. I do honor and respect any email that is sent to me, but the information in the response is meaningful to anyone reading this blog. The blog post in reference for this question was "Tense Muscles - Symptoms Of Stress, Part 1" that was published on April 28, 2010. While there is more to the email than what I am referencing out of respect for the privacy of this person, the basic premise of "how do I consciously connect with my body" is the most important point of this blog post. The following words are my response and I hope you find them helpful as well. A couple of great books I have read on this subject include Peter Levine’s “Waking The Tiger” and Dr Joe Dispenza’s “Breaking The Habit of Being Yourself”. While there is a lot we can do on our own, sometimes it requires that we seek out the healing hands of someone who is grounded and understands the conscious connection of our mind and body. All too often, we try to connect through our conscious mind and when we do that (as Dr. Joe Dispenza writes in his book), we are still running the programs of fear and other emotions in our mind. You might compare it to trying to change the oil in a car while driving down the interstate. Of course, we might see that as silly, but in many ways, we do that with our body. Here are selected blog posts beginning the week of September 2, 2012. I have tried to summarize them briefly and give the actual link to them. To visit the website, just go to DailyAngelMeditation.com . In our life we can get too busy to take time to have fun and enjoyment in life. However, this is exactly what we need to do and the more we do it, the more balance, refreshed, and productive we will be. Take a lesson from the squirrels and let the angels remind you to take these moments of fun and enjoyment.. This is one of my favorite songs that I ever created. 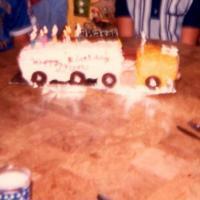 I can still remember the day it was born and how it came to be. 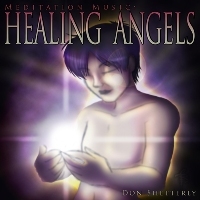 Meditation Music Healing Angels is one that captured all my emotions in that moment. How I was able to complete it and record it, can only be described as a miracle. As I sat there on the keyboard recording, this wave of emotion came over me with such great intensity, that I could barely maintain my posture on the keyboard. The emotions and tears were so deep that I felt as if I was truly transported out of this world. I had no idea in the moment what I was creating, but when I finished, I knew just how deeply I had connected with this song, Meditation Music Healing Angels. The artwork was created by a good friend and wonderful artist Chelsey Roman. She was inspired to create this after listening to the song and the artwork captures this song very well. I'm not going to say anymore because I want you to go click on the link in iTunes and listen to it for yourself. If you don't have iTunes, you can always go to Amazon and check it out. I hope it moves you deeply like it moved me. This year I am drawn to this important day in a much different perspective. For some reason my mind is focusing on reflection on my birthday unlike at any other time in my life. Sure, I often think about where I am in relation to where I have come from, but this year it is different. It is hard to explain in many ways, but I find myself looking deeper within. I think of Raffiki in the Lion King that was telling Simba - Look Deeper! In the past year, I've been through some very big highs and I've also walked through some very deep lows. At times I didn't want to keep going, but through those very low points, I found the source deep within me to turn around and charge up the hill. In those low moments, some unexpected things happened that I could never have guessed in a million years. Even though difficulties still loom in my life, I have got so much to be thankful for and there are some wonderful people in my life. If I focused only on the difficulties, I would be lying to myself in the perspective of my life. I need to pause and take notice that even in the most difficult of times, the beauty that is around me is all part of my life as well. Many times we think we are in a situation where we have little control. We look at those moments that we need something or we want something to happen. Yet, we are just giving our self the illusion that we we have a handle on whatever it is that we are dealing with in life. Through all of this we will come to understand that the power within us lies when we realize we choose for our life and our moments, rather than we need or want. This has come front and center for me in many ways. Initially, I was talking to a very gifted healer and she shared with me that we need to look at things not as if we need them or want them, but we choose them. In fact, she told me to look at it from the perspective that I choose whatever it is that I did. It wasn't just something that happened on its own necessarily or that I had little control over. The mantra or thought of "I Choose" was the way forward for me. You see, when we choose something, it gives us the possibility of making another choice. If we don't like the choice we made, we are free to make a new choice. It is all up to us and the power is within our mind and body. On the other hand, if we just look at something in our life as being a thought of needing it or wanting it, we've giving up the power to forces outside of ourselves. It is about becoming conscious in our life, rather than just riding life through as if we have no control. I know there are many books written on this subject, and while I have no way to prove or disprove any of their projected findings, I find myself coming back to this issue over and over. To me, there are significant changes and shifts happening in our world. The things that are unseen and to the point of being ahead of our time are beginning to show up. Of course I don't know anymore than anyone else how the world will change and shift in 2012. Here are some of the things that I notice and some of these changes and shifts have been going on in the world long before 2012. I just think they are accelerating. Please feel free to leave a comment with your perceptions and what you notice. Days are moving by quickly. In fact, it feels like the hours, days and weeks just fly by without ever stopping for a break. Sometimes it feels as if a day or a few days zips on by without notice and I find myself wondering where those days went. Often for me, the days of the week seem disjointed and they don't match up with reality. I wonder at times if someone is playing with the clock and calendar trying to mess with my mind, but I honestly believe it is part of a bigger shift taking place in this world. Yesterday, I sat down to pull a couple of songs off of my keyboard on to my laptop. My keyboard only has room for a few songs before it runs out of memory. I find that if I record it to my keyboard and then pull it on to my laptop later, that it works much better that way. For me, I record in the moment. It isn't like I create the songs piece by piece and I cannot usually go back and replay stuff. Having the ability to press a button and record as I"m playing is very helpful to me. Otherwise, I would lose most of the things I create. On this particular day though, I felt completely inspired. In fact, instead of just pulling down a couple of songs to my laptop, I started to record a couple more for a project I am working on. This project has been in my thoughts for a long time. It is a different kind of project and I'm really working outside of my normal element here. It was like my recording session was inspired music creativity. I don't know what happened, but I laid down all the tracks within a few hours. One after one, they just seemed to happen. That never happens when I'm recording and usually I run out of creative energy or I get worn out because it sometimes drains me. Yet, on this day, they just came out of my hands without hardly any problems or major errors. In fact, the music sounded perfect for the project I'm working on. Here are selected blog posts beginning the week of August 26, 2012. I have tried to summarize them briefly and give the actual link to them. To visit the website, just go to DailyAngelMeditation.com . Sometimes it is easy to look at our life as full of problems and situations beyond our control. It is easy to see it as a treacherous and uphill path full of dark and stormy days. If we find our path and stay focused, we will find the nuggets of gold. This morning, I was awakened by a sound that seemed very real. While I know I was sleeping sound and dreaming, I was not aware of what I was dreaming about. Yet, I heard the phantom knock at the door. In fact, it sounded so real and I got up to see what was going on. I did not go to the door and open it, but it really felt like someone had knocked at the door. My friend in the house did not hear the same thing, so I'm beginning to suspect it is like the phantom doorbell ringing and phone that I have heard in the past. The knock at the door was not loud, but it was three distinct and firm knocks. It wasn't like they startled me out of bed, but it was enough for me to take note of and know that someone was trying to get my attention. I did not feel anxious or worried. In fact, I think I found myself thinking, what is it you are trying to tell me, I don't understand. While listening to some meditative music and breathing, I had a dream appear. I was walking through a forest with very tall trees. It seemed like a beautiful forest with a winding pathway, hills and patches of light showing through the trees. 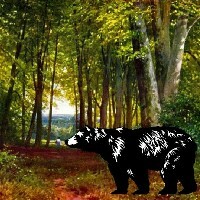 As I was walking, I saw a black bear up ahead in my path and when I noticed it, it was looking at me. I then stopped for a minute, not sure what to do, but the black bear just stayed up ahead. It knew I was there and was like it was waiting patiently for me. Then I saw it stand up and beckon me with its paw almost like I needed to follow it. I proceeded to walk forward, and it started to move forward at the same pace. It was like it was calling my attention to keep going. It was a big, beautiful black bear with a shiny coat. All too often, people of this country (and maybe other countries) get caught up in what the news pundits and media are up in arms about. Yes, I know the goofballs out there tend to hype up everything and anything. They scream, rant, rave, and ridicule so people will tune in and listen to them. They make themselves look goofy, while trying to act as if they have something to say. Unfortunately, it isn't the outrageous shows that cause the problems in our country or throughout the world. Yes, they add to the problem, but there is a little known fact that too many people overlook. If these people did not have an audience, they wouldn't be making millions yapping their gums every day. Think about that for a minute. It may sound harsh, but it is true. See, in order for these goofballs to spew the hatred and outrageous statements that they do, they need an audience of willing participants. Sure, I know - everyone believes that to be informed, you have to tune into these nut jobs, but in all reality - YOU DON'T! Time and time again, I see things happening in our society that make me roll my eyes. In fact, you could even say it makes my blood boil with anger. Yet, that might be pushing the envelope of drama a little too much. I have no desire to sensationalize such an important issue. However, we need to talk about anger in our society! We really do! Anger is one of those things that we are taught from our early days as a child that it is not good. If a little kid gets angry and attempt to show their anger, parents are quick to chastise and discipline the kid. They quickly show the kid that anger is a BAD emotion. If you don't believe me, put on your analytical hat and just watch the interactions of kids and their parents on this issue. In fact, some form of discipline may be used to control the anger, thereby connecting the anger and physical punishment together forever in their life. The church often teaches that anger is a bad emotion. After all, God gets angry, but to most churches, while that is okay, it isn't good if us normal and regular people get angry. If you even talk about being angry with God, you will quickly get shunned or counseled as to why this is inappropriate. I remember one time someone coming down hard on me for being angry at God. I looked at them and stated that if God wasn't big enough to handle me being angry, then he must not be as big of a God as you make him out to be! Regardless, churches make anger out to be something equal to sin and something that must be avoided at all costs. This leads people to bottle it up, rather than express it in a healthy way. 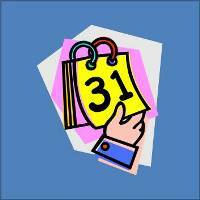 Here are selected blog posts beginning the week of August 19, 2012. I have tried to summarize them briefly and give the actual link to them. To visit the website, just go to DailyAngelMeditation.com . Throughout our life, we often running into difficult moments filled with challenges, twists and turns. It is recognizing that these are just breif moments in our life and no matter what we are going through, this too shall pass. It may be hard to remember that during these times, but keep your focus and you will find your way through these difficult moments.